Evelyn S. Wagner, age 89, of Media died on June 5, 2018. She was the beloved wife of John Wagner. Evelyn was born on April 27, 1929 in New York City to Gretchen and Heinrich Schradiek, who had recently arrived from Germany. While she was still an infant, Evelyn’s family returned to Germany and raised her in Hamburg. Evelyn went to school there and studied drama to become an actress. After performing for ten years in a number of German theaters, Evelyn decided to visit her birth country. Here she met and married her loving husband, John. 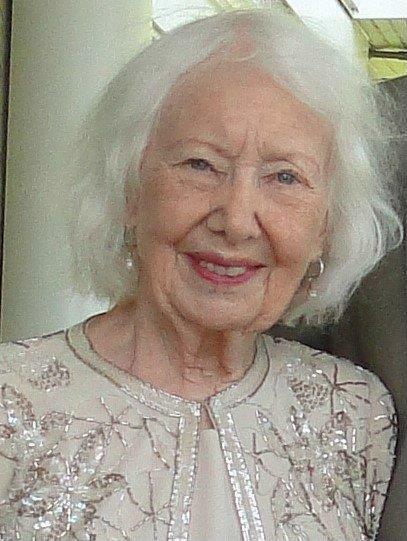 During married life, Evelyn enjoyed painting, and exhibited her artwork in various places throughout the Delaware Valley. a.m., West Laurel Hill Funeral Home, 225 Belmont Avenue, Bala Cynwyd, PA, where friends and relatives will be received from 10:30 a.m. until the time of the service. Interment in West Laurel Hill Cemetery will occur at a later date and will be private.